John Howard was once fond of calling himself the most conservative leader the Liberal Party had ever had, and under his leadership and subsequent prime ministership, prominent members of the Liberal Party began referring to themselves as conservatives for the first time. Did this represent a conservative revolution or were Liberals merely being encouraged by Howard to emerge from the conservative closet? 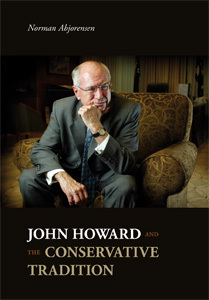 This book seeks to locate Howard in the broader historical context of Australian conservatism, and sees in his ideology the resurrection of a long-dormant strand of thought that went under the name of liberalism in the 19th century. It argues that he has changed both the Liberal Party and Australian conservatism in general, inflicting heavy damage on both.